The 22nd International Conference on Nearrings, Nearfields, and Related Topics will be held from Sunday, 24 July 2011 (arrival day) through Saturday, 30 July 2011 (departure day) at Southeastern Louisiana University in Hammond, Louisiana. Sessions will take place from Monday through Friday. The talks will be given in Fayard Hall on the campus of the University. Accomodation also will be on the campus (in a students' residence hall). Breakfast will be included in the cost of the room. There are several locations on campus and within walking distance of campus for lunch and dinner. For those wishing to make their own lodging arrangements, a list of local hotels is available. Costs for participants and accompanying persons will be kept as low as possible. As always, please inform your colleagues about the conference as our mailing list may not be complete. We look forward to seeing you in Hammond. 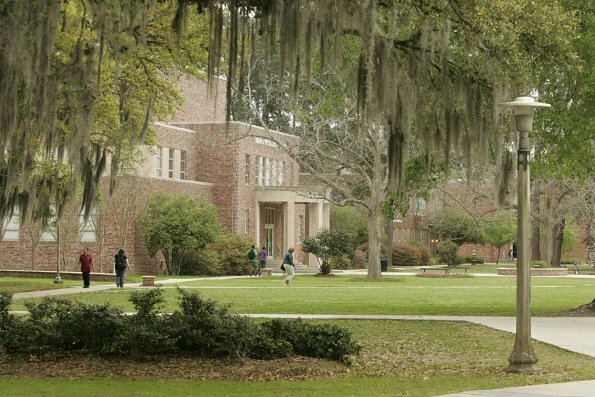 Southeastern's campus, located in Hammond, Louisiana, is nestled among ancient oaks, pines, magnolias and camellias. Hammond is approximately 50 miles (80 km) north of New Orleans and about 45 miles (72 km) southeast of Baton Rouge. Southeastern consists of five colleges with 26 academic departments and programs offering a total of 76 degree programs (3 associate degree programs, 53 baccalaureate degree programs, 19 graduate degree programs, and 1 doctoral program). Hammond is a city of approximately 18,000 people. Historic downtown Hammond lies a short ten minute walk from the University and is home to several shops, restaurants, and bars. The weather in late July is very hot and humid. Daytime high temperatures average 92 F (33 C) with heat indicies (the temperature the body feels when heat and humidity are combined) of 100 F - 110 F (38 C - 43 C) common. Overnight lows average 75 F (24 C). The humidity ranges from 50-99%. Afternoon thunderstorms are common, so participants should be prepared for rain. Southeastern Lousiana University is located in Hammond, Louisiana which lies at the intersection of Interstate Highway 55 and Interstate Highway 12. The university is serviced by Louis Armstrong International Airport in New Orleans, Louisiana and Baton Rouge Metropolitan Airport in Baton Rouge, Louisiana. Each airport is approximately 45 miles (72 km) from the university. There is no train or bus service to Hammond from either airport. Shuttle service from either airport to the university is available by reservation through Northshore Airport Express. Current shuttle cost between Louis Armstrong International Airport in New Orleans and Southeastern Lousiana University is $65 each way, between Baton Rouge Metropolitan Airport and Southeastern Lousiana University is $80 each way. The shuttle service is available 24 hours a day, but there is an additional charge for service between 11:00pm and 7:00am (21:00 to 07:00). Shuttle reservations may be made by telephone at 1.985.386.3861. Car rental is available at both airports (reservations are recommended). Driving directions to Southeastern's campus may be found here. All talks will be held in Fayard Hall. There will be invited one-hour survey lectures and short presentations (20 minutes) of recent research results.